It's been a while since I managed to participate in the Baking With Julia challenge. In fact, I think I accidentally took the entire summer off. Oh well. No need to dwell on what I missed when I was ready to jump back in with both feet with this recipe. 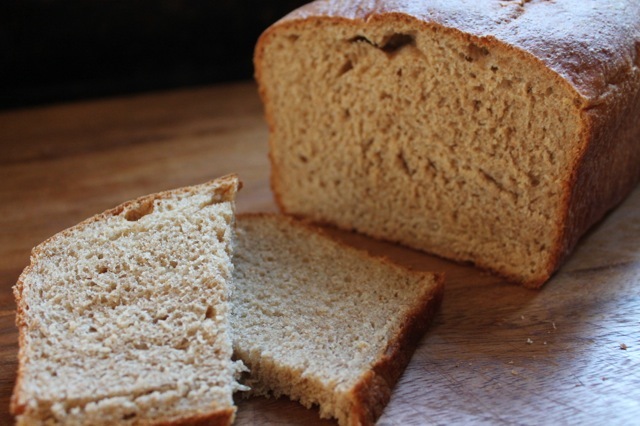 When I saw this recipe it looked pretty doable even for a novice bread baker like me. It truly was. I have an annoying habit of not reading all the fine print prior to mixing ingredients and ~ no surprise ~ I realized immediately that I had added all the water to the yeast in the first step and later I added the salt too early and had to watch it dissolve into the liquid praying it wouldn't change the results. Finally, I did not have malt extract (who does?) so I substituted molasses as others on the TWD blog had suggested. To my taste it was a perfect choice and I will just do that every time I make this bread - which I hope will be at least once a month. These two loaves are hearty and last at least a week in an airtight container. We made grilled cheeses when the bread was beginning to lose its softness and they were delicious. The only hard part of the recipe is the time it takes. This is no joke. I started mixing right after the boys left for school and didn't manage to bake them off until just before they got home from school. If you have a day to spend at home then this double rising recipe is super simple to complete. I cannot wait to make it again. It made me proud of myself to slice into such soft and healthy bread. 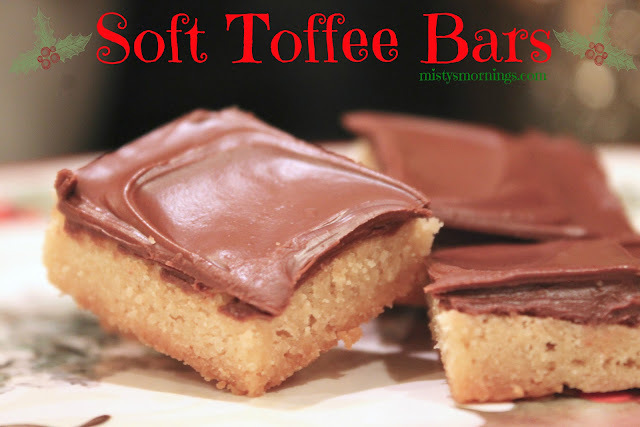 Since we cannot post the recipe on our own blogs please click on the hostesses' blogs below to find and print out this recipe for your own baking pleasure. Your bread looks great! Really nice photos. 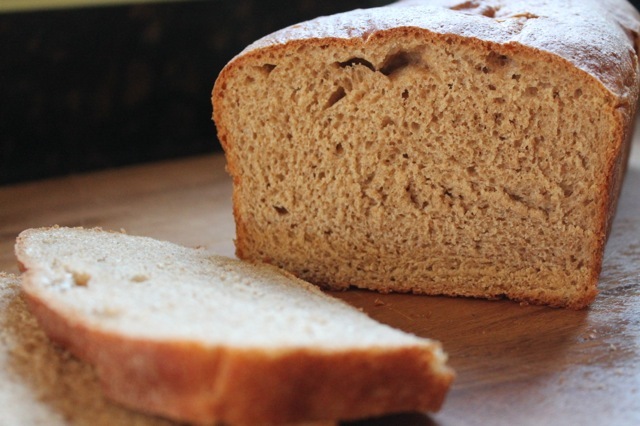 This is a great bread to give you confidence in making homemade loaves. 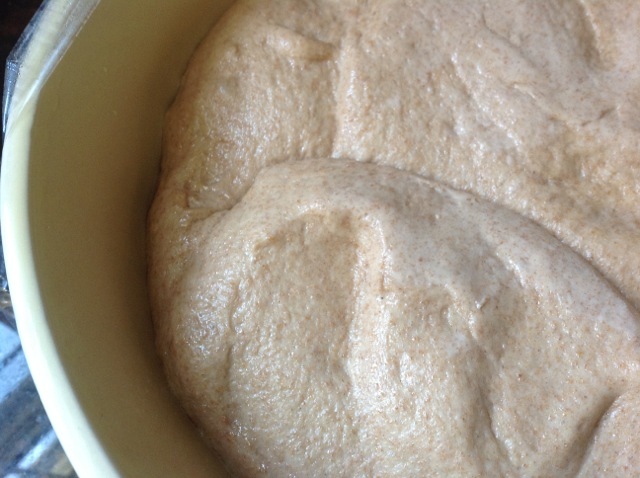 The dough was easy to work with, and the finished product makes it worth the time and effort. Beautiful photos! It is a bit time-consuming to make bread from scratch, but I like that there's lots of time between steps. Perfect laundry day activity. Bread does take time to make but the payoff is great! It happens to me quite often and I always promise to myself that I would stop doing it: not reading the recipe carefully from start till end... Glad that this time it did not ruin the end result: your beautiful bread! Your bread turned out beautifully! Good job! We loved this bread. Ditto on the school lunches- I raised 2 boys and they wanted the same sandwiches for years- if I changed anything, they grumbled! 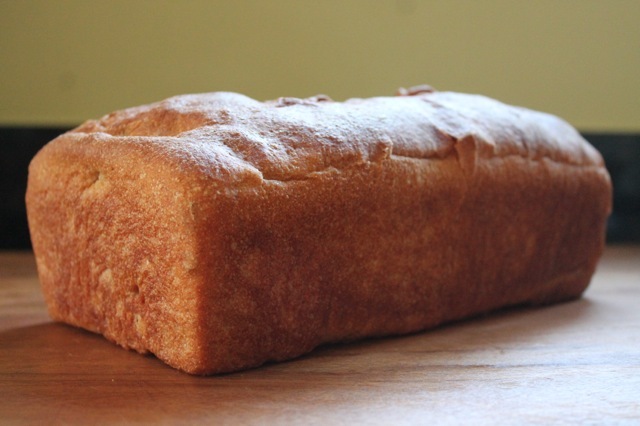 Your bread looks beautiful; homemade bread is such a simple & divine delight! It amazes me the tolerance kids have for eating the same thing day in/ day out. I don't know how they do it. 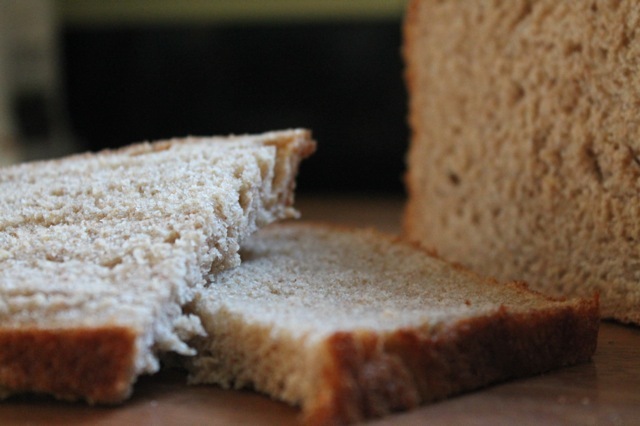 If you do need to leave the house in the middle of bread making try popping the dough in the refrigerator to rise. I did just that and it turned out fine. Yum! Your pics make everything look amazing. I'm going to try that recipe. It's been forever since I baked bread.